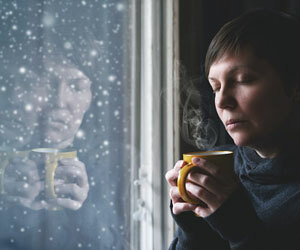 A large-scale survey of U.S. adults provides no evidence that levels of depressive symptoms vary from season to season, according to new research published in Clinical Psychological Science, a journal of the Association for Psychological Science. The findings are inconsistent with the notion of seasonal depression as a commonly occurring disorder. “In conversations with colleagues, the belief in the association of seasonal changes with depression is more-or-less taken as a given and the same belief is widespread in our culture,” says Steven LoBello, a professor of psychology at Auburn University at Montgomery and senior author on the new study. Based on emerging research investigating seasonal affective disorder (SAD), a “seasonal pattern” modifier for depression diagnoses was officially added to the Diagnostic and Statistical Manual of Mental Disorders (DSM) in 1987. To receive a diagnosis of depression with seasonal variation, patients must meet the diagnostic criteria for major depression and also experience recurring depressive episodes that coincide with specific seasons – in most cases, patients report an increase of symptoms in the fall and winter and a decrease in symptoms in spring and summer. But more recent studies have challenged the validity of earlier SAD research, including the fact that SAD is typically identified by asking patients to recall past depressive episodes over the course of the previous year or more. Furthermore, the criteria used to identify SAD do not align with the established criteria for major depression. In collaboration with Sheila Mehta, also of Auburn University at Montgomery, the researchers examined data collected in 2006 as part of the Behavioral Risk Factor Surveillance System (BRFSS), a phone-based health survey conducted annually. The researchers examined data from a total of 34,294 participants ranging in age from 18 to 99. Depressive symptoms were measured using the PHQ-8, which asked participants how many days in the previous two weeks they had experienced given symptoms of depression. The PHQ-8 has been validated in previous research as a reliable measure of depression in line with DSM diagnostic criteria. Using geographic location for each participant, the researchers also obtained season-related measures including the actual day of the year, the latitude, and the amount of sunlight exposure. “The findings cast doubt on major depression with seasonal variation as a legitimate psychiatric disorder,” the researchers conclude. LoBello and colleagues note that conditions with so-called “low base rates” are difficult to detect in large-scale studies. As such, it’s possible that major depression with seasonal variation does exist but only for a very small proportion of the population.